The UK (0.4% total return) underperformed Continental Europe as investors continue to worry about the pace of progress in the Brexit negotiations and the (seemingly) endless number of ‘cliff hanger’ moments between factions of the Conservative party. In the Eurozone, the end of QE in the form of declining bond repurchasing by the ECB has been well flagged and it is encouraging that real estate stocks held up given the increasingly hawkish commentary from the ECB which will inevitably lead to increases in the base rate. However, the interest rate curve continues to flatten with the 10 year Bund dropping from 34bps to 30bps (having almost reached 50 bps intra month). This helped German residential names enjoy a strong month. The Berlin focused businesses both Deutsche Wohnen (+5.2%) and ADO (+5.1%) were particularly strong. Spanish property companies have enjoyed a strong YTD performance with an improving economy which is perceived as enjoying less political volatility than the other major Southern European nation. All five companies enjoyed index beating returns in the month with Lar Espana (+8.1%) whilst the largest, Merlin saw returns of 5.7%. Blackstone increased their bid in Hispania from €17.45 to €18.25 per share which has been recommended for acceptance by the board. This hotel owner / developer is the fund’s largest overweight position (4.4% of NAV) and has been a key driver of performance. We hope to redeploy the majority of this capital back into other Spanish companies potentially including new ones in the Autumn. The UK was collectively a slight underperformer but there was a wide divergence of returns within the group. We participated in the Workspace £180m capital raise (at £11.0 per share) and a discount to the undisturbed price and this contributed to its -5% return in June. Retail names across Europe again performed poorly and the UK was no exception. Hammerson (-4.5%), Intu (-9.5%), New River (-4.4%) and Capital & Regional (-4.1%). The fund’s only overweight position (relative to the benchmark) is in the latter whilst we own no Intu shares. Our largest retail focused stock is Supermarket Income Reit which fell -0.5% in the month but is also the only positive performer in the retail space YTD. European retail also fared poorly with Klepierre (-3.2%), Mercialys (-4.7%) and Unibail Rodamco Westfield (as it is now called post-merger) down -2.1%. Mercialys was hit hard following the announcement that its largest shareholder, Casino plans to divest €1.5bn of real estate assets potentially including their 40% holding in Mercialys. In Sweden, Hemfosa announced a SEK 1.0bn capital raise (at SEK 108.5 per share). We did not participate and the stock ended the month at 104.8 per share. Klovern issued SEK 800m of hybrid bonds, increasing leverage (in our view) and the stock continues to fall with a return of -9.7% in June. The remaining corporate activity was in the only listed student accommodation landlord in Continental Europe, Xior, which successfully raised €8m in June after raising €18.4m in April to fund its portfolio expansion plans. The stock rose 13.1% in the month as the stock joined the index. 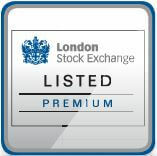 The Trust went ex the final dividend of 7.55p on 21st June. This brings the FY18 dividend total to 12.2p, an increase of 16.2% on the prior year.